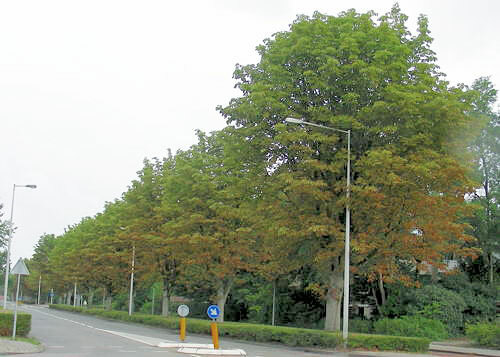 Onder natuurlijke omstandigheden hebben mineerders meestal nauwelijks enig effect op hun waardplanten. Maar wanneer planten in cultuur worden genomen, en groeien onder onnatuurlijke omstandigheden, vaak ook in monocultures, kunnen mineerders in zulke aantallen op gaan treden dat er wel degelijk sprake is van schade. Under natural circumstances leafminers don not have any serious deleterious effect on adult plants. However, when their hostplants are cultivated, grown in unnatural situations or in monocultures, miners can sometimes build up poplations that are large enough to do serious damage. Sometimes the damage is merely cosmetic: even though the miner population is too low to influence the vitality of its host there is already commercial damage. A few mines of the Holly leafminer for instance can rob a beautiful branch of its value in Xmas time. Similar problems may occur in the flower trade, and even in vegetables. Not only the mines, but also the feeding punctures of Agromyzidae can spoil the spotless presentation that customers expect and require. Not all damage is so relative. The feeding punctures just mentioned can be so numerous that they cause leaves to wilt; moreover they seriously enhance the risk of fungal infections (Chandler & Thomas, 1991a). Their number can be enormous: a female of Agromyza frontella, a species that forms a pest on alfalfa in the United states, on average makes 3769 punctures (Venette ao, 2007a). In monocultures leafminers, like other pest insects, can reach such densities that virtually each leaf is damaged, often by several mines; under such circumstances the plants loose so much photosynthesis surface that growth and fruit production come to a standstill. 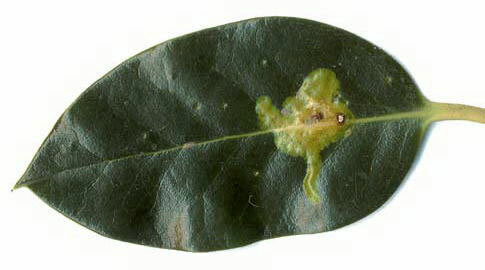 At least as destructive is Phyllocnistis citrella in citrus plantations. Now and then an infested leaf finds its way to a supermarket in our regions. 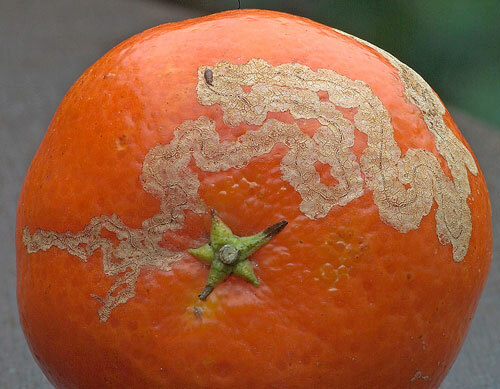 Considerable problems with leafminers mainly occur in greenhouses. During the last few decades several tropical Liriomyza-species have inadvertently been introduced (Darvas & Papp, 2000a; de Goffau, 1991a; Minkenberg & van Lenteren, 1986a; Spencer, 1973b). These polyphagous species cause problems in a number of crops; in this site it has been attempted to key them out for two important crops, viz. chrysanthemum and tomato. The distinction between miners and borers is not always a sharp one. Some of the ‘miners’ from the twilight zone can, if they occur on food crops, do considerable damage, like Phytomyza gymnostoma on onions, N. carotae on carrots and Ophiomyia pinguis on chicory.